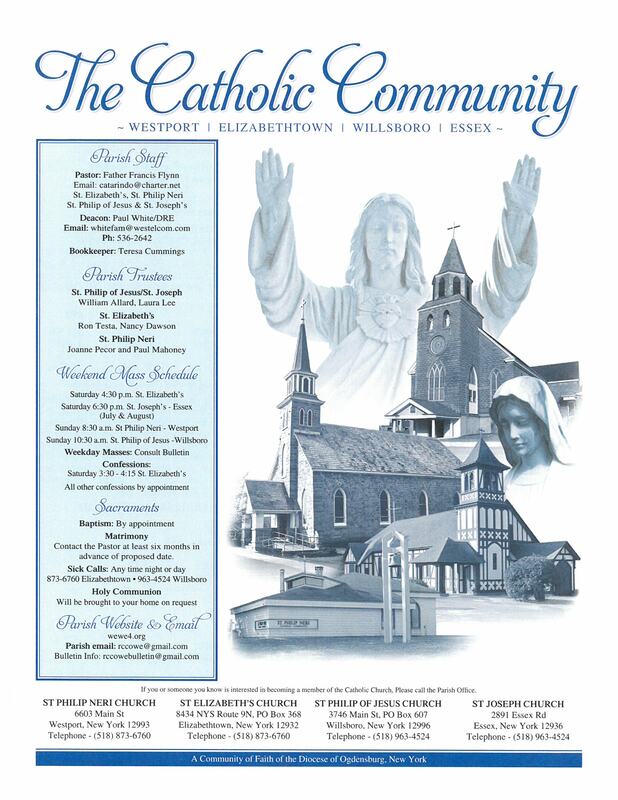 Welcome to the Catholic Community of St. Phillip of Jesus, St. Joseph, St. Elizabeth and St. Philip of Neri. The Willsboro, Essex, Elizabethtown, and Westport parishes are a collaborative spirit filled group of communities with a united goal to spread the Gospel. Within this site you will be able to explore each individual parish, have access to the weekly ministry schedule, and the an electronic copy of the community bulletin. If you are looking for a community within which to pray, seeking opportunities to get involved, or in need of information about marriage, baptism or funeral services visit our contact page.